My friend Elizabeth, of The Littlest, was on a lovely family road trip this weekend. 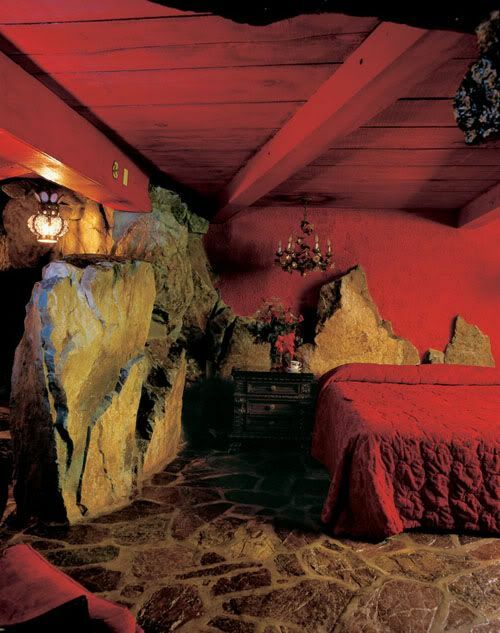 Part of her trip included a first time stay at The Madonna Inn. 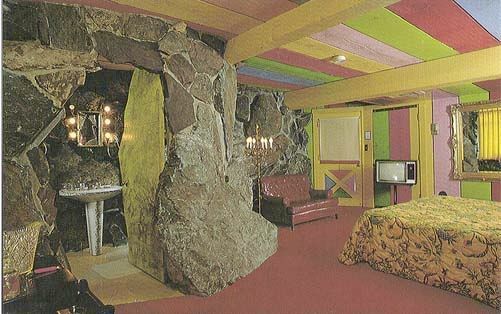 And I was so thrilled for her, because The Madonna Inn ROCKS. In brief, it is an insane palace of kistch! I was reminded of my own trip there. Waaay back when I turned 30, before Wolfie was born, greg planned a really amazing birthday weekend for me. We flew to Vegas to see Siegfried and Roy (I should explain the night we first met was Halloween and my roomie and I were dressed as Siegfried & Roy. We looked fabulously ridiculous (sequin capes, giant stuffed white tiger) but somehow greg still asked me out. We always joked we needed to see S &R someday and so he made it happen. Then after Vegas, greg took me to Disneyland (I love Disneyland. For reals. It’s one of my favorite things ever). 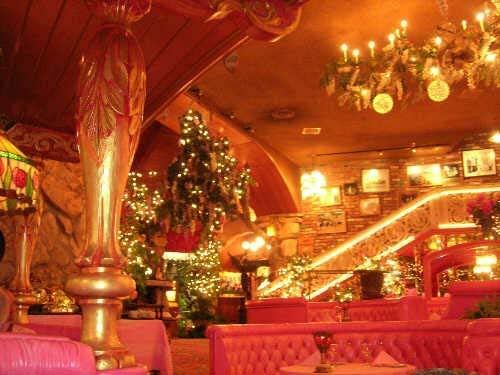 Finally, the last leg of our adventure was a pit stop at the infamous Madonna Inn. 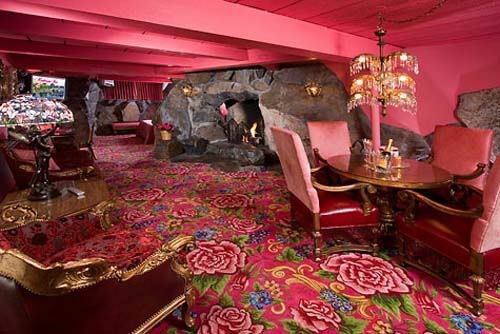 Ahhh, the Madonna Inn! Pink, kitschy…faaaaabulous! 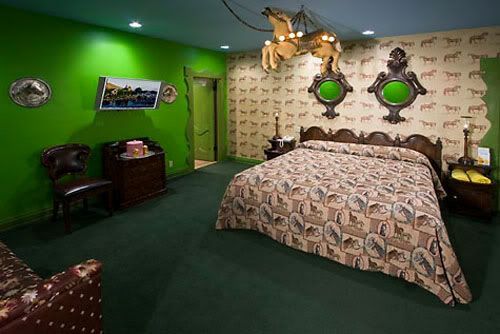 Each bedroom has a different theme—bright colors, crazy wall paper etc—and I really think this is what Liberace’s guest rooms must have looked like. 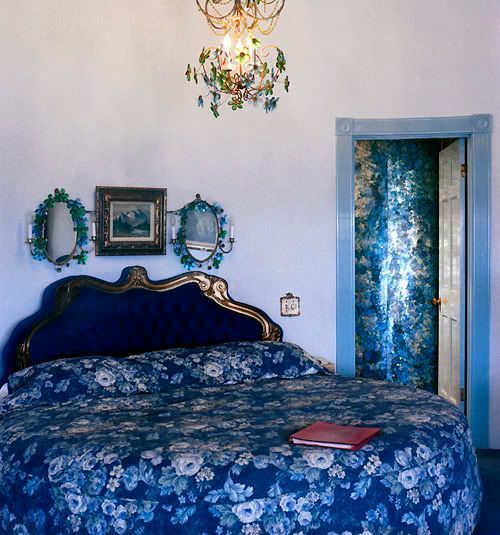 Located in San Luis Obisbo, the Inn was opened in 1958 by Alex Madonna. It didn’t turn this flamboyant until after 1966 when a fire nearly burned the whole thing to the ground. 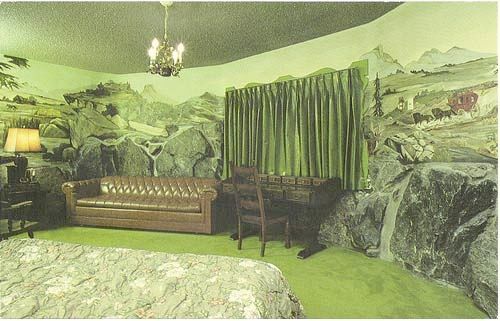 Like a mad genius (who believed “Anyone can decorate a room”) he wallpapered, shellacked, and ticky tackified this place into the wondrous creation it is today. 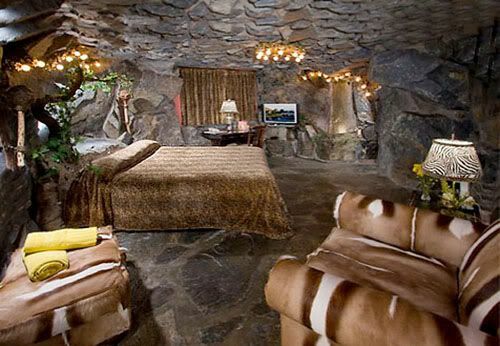 All the rooms have Theme names (“Barrel of Fun”, “Krazy Dazy” “Jungle Rock” etc), which just adds to the fun. 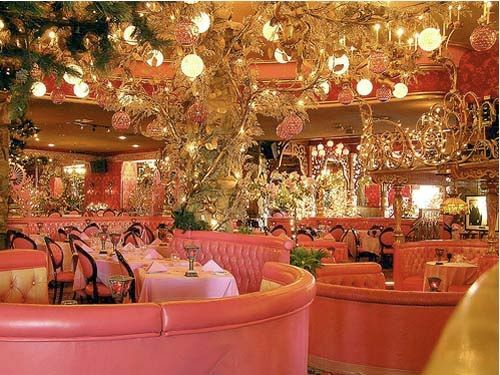 One of the centerpieces of the Madonna Inn is the pink dining room….and I DO mean pink, pets! How amazing are those round booths? It’s as luscious in person as it is in this photo. If you’re ever in California you have to swing by for sure. My dream is to do a big vintage photo shoot there. Maybe this year I can make it happen. 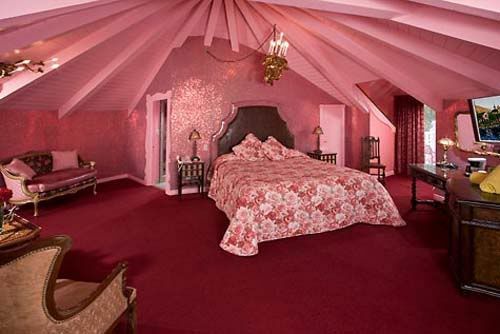 Oh Madonna Inn, I love you soooo! Also, today is the last day to vote for us and all the other grand ladies in the Circle of Moms Top 25 Kids’ Style blog competition. Won’t you please head on over and give us a thumbs up vote? Just one easy click. Click the circle below to vote. Thank you co much for being the best readers around! Posted in Best of Alix. oooh youtube videos!! I’m totally on there right now looking. I’ve wanted to go there SOOOO badly! My friend has done tons of photoshoots there and her pics are always amazing!!! Do I see a Modern Kiddo Road Trip in our future? Hmmm…. I was totally thinking that too!!! mind blowingly fab…thank you for the images. the vegas/disneyland/madonna inn weekend is too much sensory insaneness to fathom, you lucky thang! Wow! This place looks incredible! Thank you for sharing! I want to go so badly that my entire body hurts!!! Its kinda tailor made for you, lady…..
does anyone know where i can find a lamp similar to the one hanging in the second picture!? it’s amazing! I think the beauty of that lamp is the BULB. 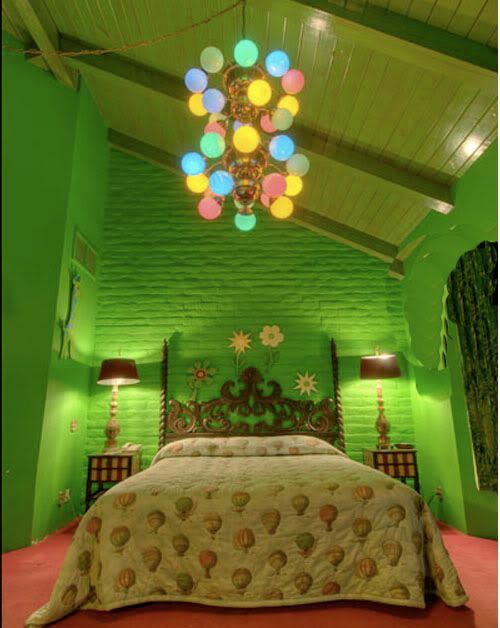 You can get round bulbs like that at Home Depot….but I imagine if you wanted the colors, you’d need to search ’em on line. If i come across something I’ll let you guys know!